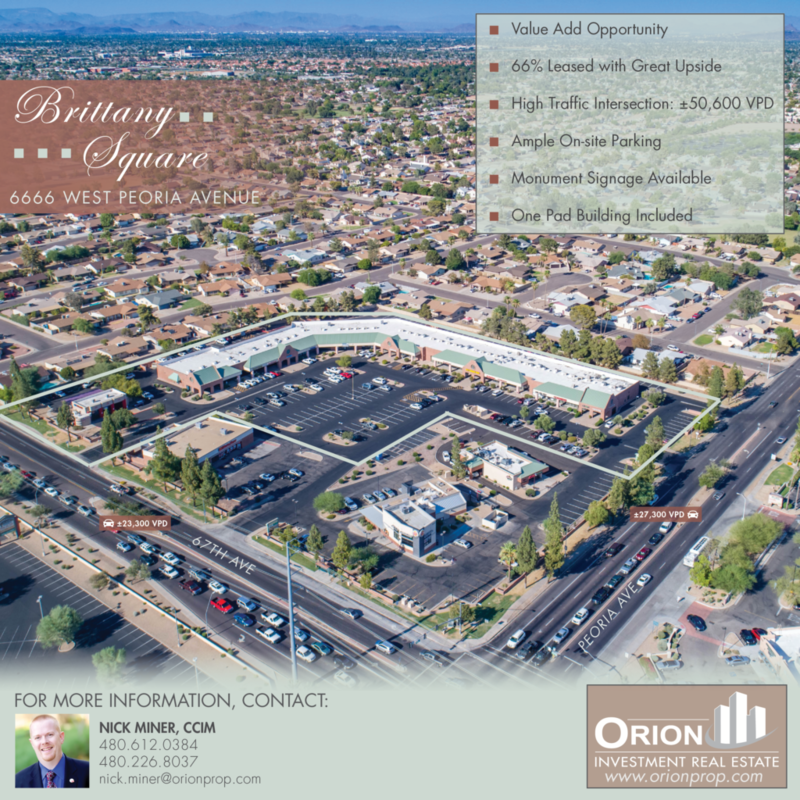 Brittany Square is a +/-49,004 square foot retail center located at the major, signalized, intersection of 67th Avenue and Peoria Avenue. Situated on approximately 5.23 acres, there is ample on-site parking and monument signage available. Major retailers in the area include Walmart Neighborhood Market, Starbucks, Chase Bank, Goodwill, O’Reilly Auto Parts, and Circle K.
Brittany Square is located at the major signalized intersection of 67th Avenue and Peoria, near an array of amenities including Westgate Entertainment District, P83, Arizona State University’s West Campus, and more. Glendale Community College sits adjacent to the property. GCC is one of ten, higher education institutions in the Maricopa Community College District.